The move of selling a Chinese-built car came as a surprise to many, and it is a first for GM. It's also a first for any U.S. automaker. Starting in the summer of 2016, General Motors Corp. (NYSE: GM) will begin selling the "made in China" Buick Envision in the U.S. market. The Envision is a luxury crossover vehicle. The Envision boasts a 2-liter, 4-cylinder turbocharged engine with a 6-speed all-wheel drive transmission. It will compete with the Lincoln MKC, Acura RDX, and the Audi Q5. Buick will release pricing and fuel economy closer to the time the Envision goes on sale. The Envision will make its U.S. debut in January at the North American International Auto show in Detroit. GM says the Envision was designed in Michigan. It also says the vehicle will fit well into the Buick lineup between two other crossover offerings, the Encore and the Enclave. Envision is large enough to be assembled profitably in the United States, according to the UAW. Its size is comparable to the Ford Escape, assembled in Louisville, Ky., and the Jeep Cherokee, assembled in Toledo, Ohio. The UAW staunchly maintains that GM should reconsider its decision to have the Envision built in China and instead have the vehicle made in one of 12 U.S. facilities. You see, the GM bailout during the financial crisis is still fresh in the minds of many Americans. The U.S. government spent some $50 billion to bail out GM. 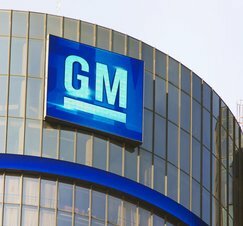 As a result of the company's 2009 bankruptcy, the government's investment was converted to a 61% equity stake in GM, plus preferred shares and a loan. The U.S. government lost $11.2 billion on the bailout. That was almost $1 billion more than the $10.3 billion the U.S. Treasury Department estimated when it sold its remaining GM shares in December 2013. GM has managed to claw its way back to profitability since then. In its latest labor deal, GM agreed to invest $8.3 billion in its U.S. plants over the next four years with the aim of creating or retaining an estimated 3,300 jobs. The auto titan also boosted U.S. employment by 14,000, or 18%, between the end of 2009 and the end of 2014. Now, auto research firm IHS forecasts estimate about 38,000 Envisions will leave U.S. car lots by 2017. That compares to a much larger tally of 126,000 it's now selling annually in China. What a bunch of BS. It's obvious the writer is one of those GM hater. Write a story that makes sense the next time.